Last weekend saw an intense set of fixtures where the different youth teams played in a number of cup matches as well as attending their league duties as their seasons came to an end. Next week’s cup matches will be the last ones to be contested this season after a campaign which has seen our boys reach new heights thanks to the passion and commitment of their coaches and players. 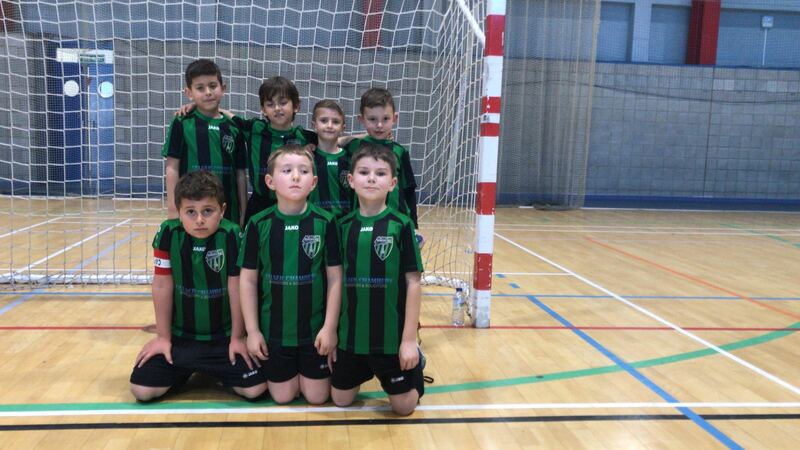 “The boys faced Lincoln Rep Imps, one of the toughest sides in the competition,” said U7 coach Alfred Garro. “The game began and as expected the opposition pressed high with intensity to force us into making mistakes. We overcame this by playing quick and easy passes and playing the ball wide to our wingbacks, so that they could deliver balls up the wing into the box for the forwards to execute. At times we got caught out on counter attacks which where dealt with superbly by the boys with top defensive tackling. “We were put to the test throughout some phases of the match but the boys pulled through and as the match went on we got better and better! We defended as one and attacked in force, always pressuring the opponent, (we were on them like day sacks). The key to this solid performance was intensity, team spirit and above all believing in themselves. I would like to highlight that we are the first one’s to get something positive against them, as they normally thrash teams with double figures. 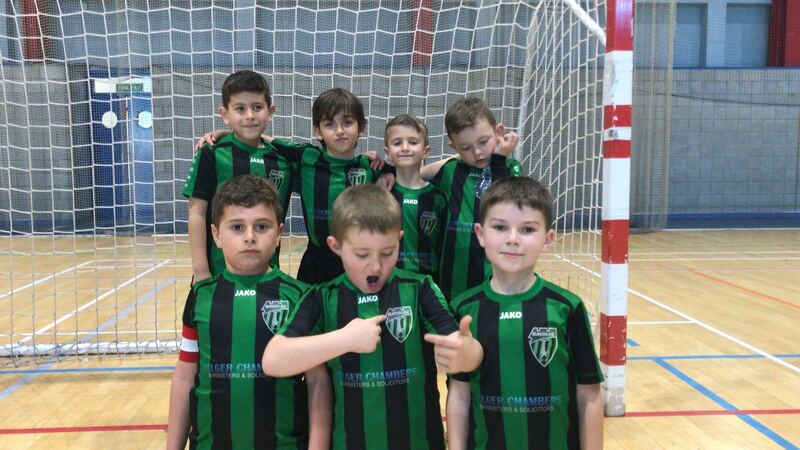 “For the second time this weekend we played Lincoln Rep Imps, this time in the Futsal tournament,” said Garro. 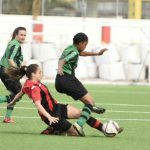 “The game began and both teams fought it out in the middle of the pitch trying to gain control of the ball, with no team clearly dominating the game in its initial stages. “As it went on we began pushing Lincoln into there own half and pressed them well, not allowing them to play the ball up the pitch with clarity. On one occasion they broke our line of pressure with real danger and took a shot at goal which was handled superbly by our goalkeeper. The rest of the times our boys recovered their positions well and defended with the grit of their teeth to neutralized the attacks without any clear threat to our goal. “We tried attacking through the middle but the area was too congested as Lincoln were defending to a very high standard. So we starting playing wide, forcing them to open up to create gaps for our attacking players to deliver balls in between their line formations which created goal-scoring opportunities to our benefit. “The Lincoln keeper made several good saves throughout the match and in the dying seconds of the game, we missed a golden chance in winning the match. When a shot was blocked but left loose in the Lincoln box but unfortunately we didn’t have a player close enough to pick up the rebound and put it in the back of the net. “After yesterday’s spectacular beating of Lynx, I was hoping the two teams registered for five-aside competition would come out firing with as much enthusiasm,” said Dami Eyoh, U8 coach of the cup tournament his side were involved in. “But it wasn’t to be. We were knocked out of a competition by a team I think we could have beaten. “The season came to a close as the Greens took on the blues and after 15 minutes we fell 1-0 behind leaving me feeling somewhat blue,” said Stephen Fortunato. “Luckily two 2 minutes later the mood was brightened as Eli broke free and won himself a penalty. I turned away as I have for every penalty we have taken this season and Eli stepped up and smashed it home. “The rest of the first half was a tight affair with us holding a slight edge. At half time we had a reshuffle with Gabe going up front and Eli dropping in at the back. Six minutes into the half and a slick pass from Gabe released Zac on the right whose neat footwork helped him deliver a low cross was met with a Mohamed back heel and we were in front. “A minute later Gabe was released through the middle and he slotted home after rounding the keeper and we had a two goal lead. It was all action now and we were well on top as we had found the keys to open the Maccabi defense and we knew it. So when Kiwi picked up the ball at halfway and found a quality key pass to Gabe I was confident he would double his tally and he did. “After having just managed to beat Lions the previous week with a ten man team, it was all pointing to yet another exhausting match,” said Youth Coach Stephen Fortunato. “Eleven players turned up in the end, which was a relief, but we knew that against Lincoln we would need those extra legs. 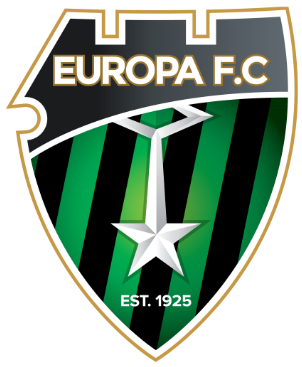 The eague was lost already, but winning this one would mean securing second spot. “The match kicked off, and with just a few minutes of play, our defence and keeper had already had to intervene with a few close clearances and shots from them just missing our goal. We knew we had to push up a bit more, but we were just not applying sufficient pressure up front to be able to do so. “Elias had already managed to squeeze through a few good crosses from the wing, which saw no one on the other end to finish. We persisted, but Pedro was heavily marked all the time. We were missing Callum, and this saw Jayce having to fill his shoes and help out Nik in the middle. “It was after Lincoln scored a penalty, when Nathan joined our attacks that we went for the match. Either we scored 2 goals and won, or they would score a few more goals. It was a very exciting second half, with both teams pulling a show and Lincoln managing a counter-attack in the end, which they finished nicely.